If you have a damaged tooth, or set of teeth, come to Crosspoint Family Dental for crowns Lowell, MA residents have been turning to for years. We understand that getting crowns can cause anxiety for our patients, and this is why our experienced staff of doctors and hygienists treats each one of our patients with the utmost care and understanding. We use the best technology to ensure that the crowns you receive look and feel natural. Our conveniently located office at 850 Chelmsford Street in Lowell, MA has long business hours, making it easy for you to find a time that fits perfectly into your busy schedule. Damaged teeth that require crowns can be caused from a variety of factors. From a large filling that leaves little tooth structure, to fractured, poorly shaped, or discolored teeth, you can trust Crosspoint Family Dental for any necessary crowns. Lowell, MA community members will receive the best quality care when they come to our office. We offer porcelain fused to metal crowns that provide our patients with natural looking caps that can easily withstand time and wear. Usually crown work requires two visits, so that our doctors can ensure that their fit and color is just right. On your first visit, our caring team will take an impression of where we will put your new crown, and match a color to your natural teeth. From there, we will send your impression to the lab, where we can create a crown that fits perfectly in your mouth. On your second visit, a doctor will place your crown, restoring complete functionality to your smile. For crowns, Lowell, MA residents have the luxury of turning to the best dentists at Crosspoint Family Dental. 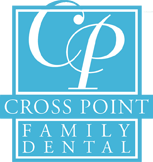 We are always here for you at Crosspoint Family Dental. Our stress-free, and judgment-free office wants to help you maintain the teeth that you deserve. To make an appointment, call us today at (978) 459-6467. When it comes to caps and crowns, Lowell, MA residents can turn to Crosspoint Family Dental for the best available care.